August 28, 2014 - On Wednesday at about 9:15 AM, a F-15C single-seat fighter jet based out of the 104th Fighter Wing of the Massachusetts Air National Guard located in Westfield, Massachusetts crashed into a national forest in Virginia. It was reported that the 1986 twin-engine F-15C jet lost radio contact with the 104th Fighter Wing during a cross country mission over the Shenandoah Valley Virginia. 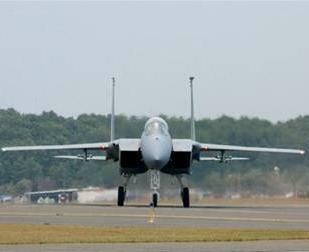 The F-15C pilot had made a report of an in-flight emergency prior to radio contact being lost about 25 minutes earlier. The F-15C aircraft was in route to receive a system upgrade, and there were no munitions on the aircraft during this cross-country trip. Augusta County Sheriff's Office reported that an alert sent from his aircraft indicated the pilot ejected himself from the aircraft before it crashed. The search for the missing 104th Fighter Wing pilot continued throughout the night in the Washington National Forest near Deerfield Valley, Virginia. By 11:15 PM Wednesday, approximately 10 search-and-rescue teams were on the ground searching along logging roads, fire trails and forest roads. Virginia State Police Public Relations Manager, Corinne Geller reported that the terrain is too treacherous for off-road ground searches in the dark. As many as four helicopters have been conducting aerial night searches, with additional assets en route. Throughout the day Wednesday, at least 100 state police, sheriff's deputies and fire and rescue personnel had been on scene, along with up to seven helicopters supporting aerial search missions, said Geller. The Air Force has secured the crash site. Update – On Thursday afternoon emergency responders were able to safely access the crash site, Col. James Keefe, Commander of the 104th Fighter Wing reported the F-15C pilot was killed and he did not eject from the aircraft and it was too early to tell why the pilot didn’t eject. 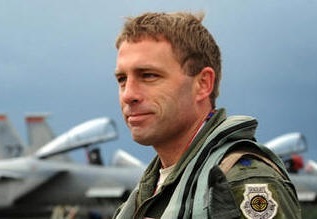 The pilot has been identified as Lt. Col. Fontenot Jr.